​The search is for alternatives, the many hues of green that exist between the stark blacks and whites of our times. The challenge in these times is to keep sight of the essentials. To move away from the unidirectional approach that the current development paradigm has led us towards, much like the blind men in the folktale who tend to see only one dimension of the elephant. The commitment is to move towards a holistic spirit of enquiry and to feel reverence for this magical Earth. To live out valuing the web of life and our place in it . And to state to oneself that this is largely what our purpose in life is! Rema Kumar is an educationist with over 20 years of teaching experience. 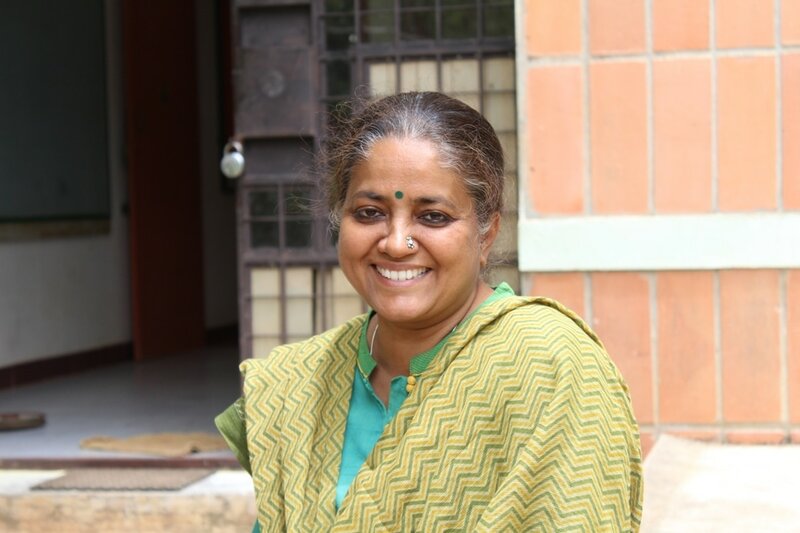 She has been involved with Prakriya Green Wisdom School, Bengaluru from its initial years, partnering in the co-creation and living out her dream of humanising education,in tune with nature's principles.She is currently the Director of Bhoomi College . A passionate teacher, she has a keen interest in deep ecology and education for saner living. She is a trained human process facilitator,an avid reader and a sporadic writer .An enthusiastic strory teller, she thrives on stories of hope which she shares generously.